We're big fans of animation and have a couple of ideas for potential animated projects (e.g. The Strange Tales of Uncle Charley). We'll see how things pan out over the next few years in this regard. 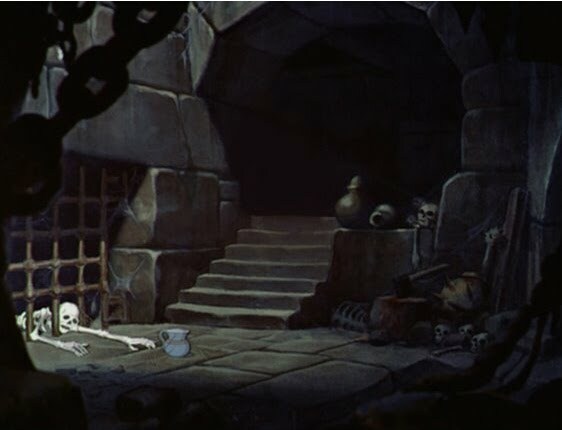 In the meantime, we suggest you check out Animated Backgrounds, a great blog featuring background artwork from classic animated films. From Snow White and the Seven Dwarfs. Images via Animated Backgrounds. Copyright Disney.